Welcome to OXCEL, an independent British leadership organization founded in the United Kingdom in 1999 and active internationally today. OXCEL was established to provide opportunities for members to develop and enhance their leadership skills. Leadership is built on a unique relationship between leader and follower. Leaders know themselves, their people, and their profession. Leadership is a challenging and rewarding experience, and OXCEL aspires to help you reach your leadership potential. With an established track record and engagement with many leaders around the globe, OXCEL can be the foundation for developing leaders within your organization. 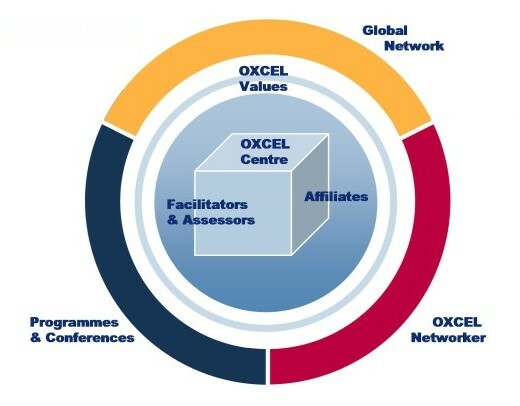 Committed to lifelong learning, OXCEL offers a well-established programme of certifications at Associate Diploma, Graduate Diploma, Postgraduate Diploma and Fellow Diploma levels which are aimed towards leaders in business, public service or the voluntary sector. OXCEL Certifications are a prestigious independent recognition in leadership and can in turn lead to further recognition opportunities. All certifications are offered by distance learning, with no campus attendance being required and candidates able to enrol from anywhere in the world. The process of certification is self-directed, encouraging reflection on professional practice, application to real-world organizational leadership, and the development of OXCEL’s own 9 Qualities of Leadership. Depending on region and availability, it may also be possible for candidates to attend events such as CPD seminars and conferences which have either been organized by OXCEL itself or by third party providers. However, such attendance is not a requirement for certification, since there are alternative options of project paper or extended essay in each case. “Learning is all about change – change in attitude, change in knowledge, change in behaviour, change in skill, change in how we think, and change in productivity.